The Supreme Court will next week hear an appeal, the outcome of which may significantly alter the scope of without prejudice privilege. The Supreme Court is due to consider the Court of Appeal decision in Oceanbulk v TMT Asia that evidence of without prejudice negotiations cannot be admitted to establish background facts known to the parties as an aid to the construction of the settlement agreement in the course of those without prejudice negotiations. The Court of Appeal decision in February considered the circumstances in which statements made during without prejudice negotiations could be admissible in evidence. Underlying the question was whether the principles on contractual construction emerging from last year’s House of Lords decision in Chartbrook Ltd v Persimmon Homes Ltd  AC 1101 justify allowing such a statement to be admitted. Longmore LJ gave the leading judgement, with Stanley Burnton LJ agreeing with him, which affirmed the importance of the without prejudice rule and held that evidence which was without prejudice should not be admitted in order to assist with the interpretation of a settlement agreement. However, the position remained far from straightforward: Ward LJ dissented in emphatic terms. 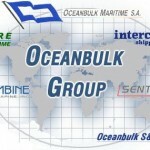 Oceanbulk and TMT had entered into a number of forward freight agreements (“FFAs”). As a result of these contracts TMT owed Oceanbulk around $40.5 million. A settlement agreement was reached between the parties in respect of this debt. The agreement stipulated that, with regard to any FFA open contracts between the parties, the first 50% should be “crystallised” by a certain date and the parties should co-operate to close out the balance of 50% against the market on the best terms achievable by another date. 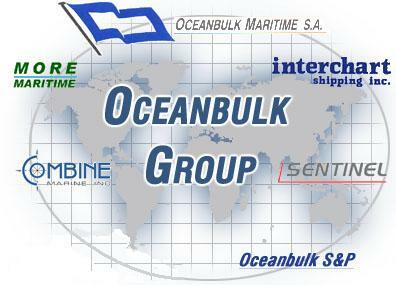 Oceanbulk claimed that TMT did not co-operae to close out the remaining 50% of the FFAs. In relation to the question of what co-operation meant for the purpose of the second 50%, TMT wanted to adduce evidence that Oceanbulk had represented during the settlement negotiations that these transactions were “sleeved” positions (meaning that Oceanbulk had made them back-to-back with a third party). – The distinction between identifying the terms of an agreement (a ground on which without prejudice evidence may be admitted) and interpreting them was extremely fine. – Admiral Management Services Ltd v Para Protect Europe Ltd  1 WLR 2722 provided authority for admitting the evidence in question. – Evidence of without prejudice exchanges is admissible if there is a plea of rectification and it would therefore be illogical not to admit it for the purpose of construction. – A court which is deprived of evidence of the background against which an agreement was made would be less well equipped to discern the parties’ intentions and less likely to construe the contract in accordance with them. – When the issue is whether without prejudice communications have resulted in a concluded compromise agreement. – Where the evidence shows that an agreement apparently concluded between the parties during the negotiations should be set aside on the ground of misrepresentation, fraud or undue influence. – Where there is no concluded compromise agreement but a statement which is made by one party to negotiations and on which the other party is intended to act and does in fact act may be admissible as giving rise to estoppel. Longmore LJ also referred to the House of Lords decision from last year, Ofulue v Bossert  UKHL 16, noting comments made there on the public policy consideration that parties should be able to negotiate freely in without prejudice discussions without worrying about statements being used against them subsequently. – He did not find that the distinction between identifying the terms of the agreement and the interpretation of them was usually a fine one. Allowing evidence such as that proposed to be admitted would make arguments about implied terms more prevalent, which was to be discouraged. – Admiral Management did not go as far as to decide that without prejudice correspondence would be admissible in relation to a background fact which was not part of the terms of the settlement. The decision to admit evidence in that case arose only because the document in question had been referred to as part of the settlement agreement. – On the question of whether there was an inconsistency between allowing without prejudice evidence for pleas of rectification but not allowing it for the construction of terms, Longmore LJ was clear that there was not. If a case of rectification is made then the court is being asked to ascertain the true terms of the contract but it is not considering the background facts to ascertain the contract’s meaning. The final consideration was the balancing of competing policy considerations: the need for parties to be able to negotiate freely on the one hand and the court’s need to have all relevant information before it on the other. Longmore LJ came down firmly in favour of the former, noting that the comments in Ofulue v Bossert tended to indicate that the policy behind the without prejudice rule should trump the more general policy of enabling the court to have the maximum possible assistance in ascertaining the parties’ intentions. Ward LJ dissented in brief but emphatic terms. He questioned why, since case law had clearly established that you can use antecedent negotiations to prove an agreement, to rescind it or to rectify it, they should not be used to establish the truth of what the concluded contract means. Of this, he commented “Not to do so would strike my mother as ‘barmy’. Perhaps I should simply say it strikes me as illogical“. He went on to add that there was a distinction to be drawn between the application of the without prejudice rule to discussions which did not conclude with a settlement and instances where a settlement was reached. Of the latter, he said that once the public interest in the “cloak of secrecy” had been served and an agreement reached, there was no justification for continuing to wrap the negotiations in the same cloak any further. The appeal on 14 July should hopefully serve to offer a final word on the difference in views between Longmore LJ and Ward LJ and clarify the “barminess”. Leave a reply on "Case Preview: Oceanbulk Shipping & Trading SA v TMT Asia Ltd  EWCA Civ 79"